The oldest University in the region. Minin University and Shandong University of Technology discussed the possibility of launching a double degree program such as "English as a foreign language and Chinese as a foreign language. These talks took place from 8 to 12 April 2019 in China. These agreements between the universities would also include cooperation in the legal field, academic exchange of teachers. 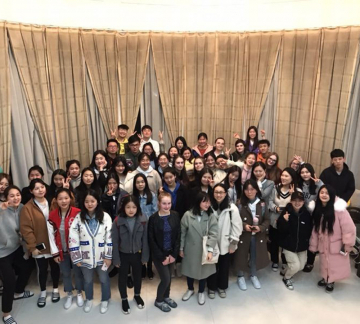 On April 12, 2019, the Department of Foreign Language Professional Communication held an event for the program "School of Intercultural Communication", a delegation of schoolchildren and teachers from China, as well as guests from Nizhny Novgorod Gymnasium No. 13 were hosted by Minin university. 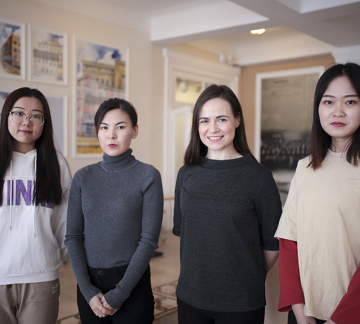 Duan Zhi Yang, Zhang Xi Jia and Feng Yazhun, three students from our partner, Xi’an Fanyi University, will be studying Russian language and culture during the semester. Three students of the first course of the “Foreign Language (English) and Foreign Language (Chinese)” department have been studying at the Xian University of the translation (China) for two weeks. 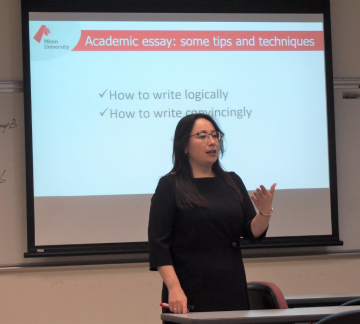 As a visiting Professor Olga Kim held a course of lectures on the issue of writing an academic essay for master’s program students and postgraduate training program, she also was a speaker in the open lecture, speaking about the Russian Education on the basis of Minin University. During the two weeks of the visit the advisor to the rector Kim Olga negotiated the joint master’s “International Education”, performed by the Universities. On the 28th of February the pedagogical training session for second year students in the Master’s program ,specialty “ Pedagogical Education”, profile “Teaching Russian as a foreign language” took place. This was the first time when the training took place in Warsaw, thanks to the contract signed between Minin University and Russian Language School “Samovar”.